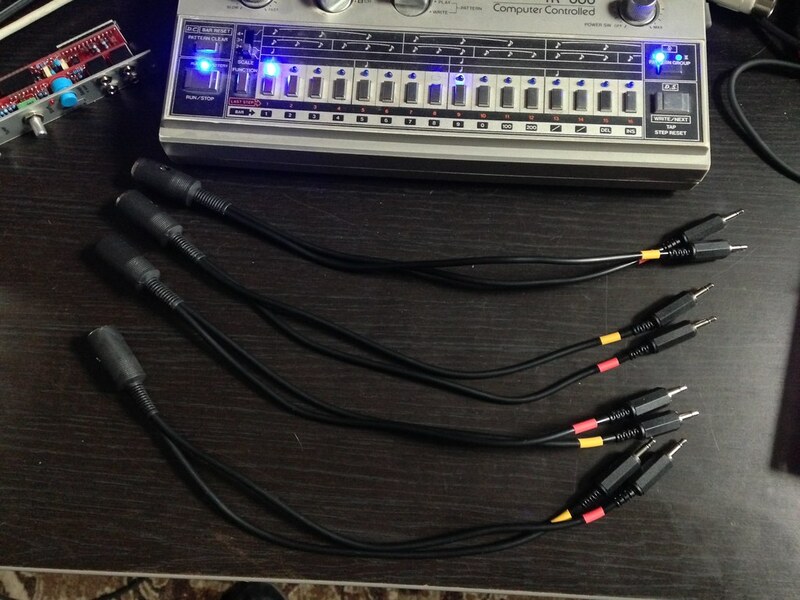 #I needed one of those DJ-1200 cables and found the parts, I bought extras #so if anybody wants to buy "kits" (you provide wire) I will sell them #for super cheap! 6$ + shipping or 7$ if you want me to supply the #wire. These work with expert sleepers modules and ALM pamela's workout. 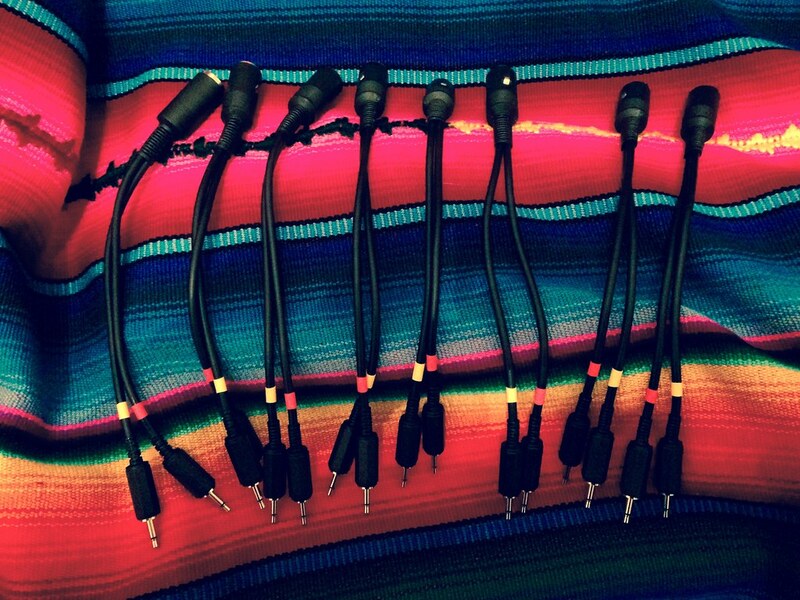 #I am now using expensive Canare GS-4 wire for all cables and kits! #I will make cables in small batches, it takes about 45 mins to make one #cable, the cost of a completed cable is 25$ because it is very #difficult, thanks for understanding! I had to raise prices because of material #costs... again, thanks for your kind consideration!! two more kits shipping out!! Just got mine. Super fast shipping, Easy to assemble, works! b3nsf actually built the cable for me and shipped me the finished product. Works great and looks very professional. I'm using it to sync a PW to a Koma RH-301. I bought a couple kits from b3nsf and he shipped them really quick and even included wire. Just to say I ordered a completed cable and it arrived extremely quickly and is very well made. Great service, very happy! (I had waited months for expert sleepers to make another run). Cheers b3nsf and merry christmas everyone! Got a nice completed cable that shipped out the very next morning. I ordered two (one built and one kit) and they arrived super quick! Got my A4 synced up to Pam's and its working great. Thanks, b3nsf! Does each 1/8" plug output a clock signal? This would be fantastic! Can I order one from you? made some more this past weekend!! Wow, what a labor of love...PM'd!! Hi! I am looking to buy my friend this as a gift because he's had a hell of a time finding a replacement for his broken dj-1200. It's for Pamela's Workout. Please let me know if you can sell me the cable or just the connectors/parts! Thank you!!! b3nsf is totally legit! Fast, friendly, and fantastic! Cable works great, is reasonably priced, and looks cool! And to the people who have been nice to me, I really really appreciate you fine human beings, I wish the world was filled with people like you!!! LOVE. Need these. Thank you! b3nsf is a great guy. 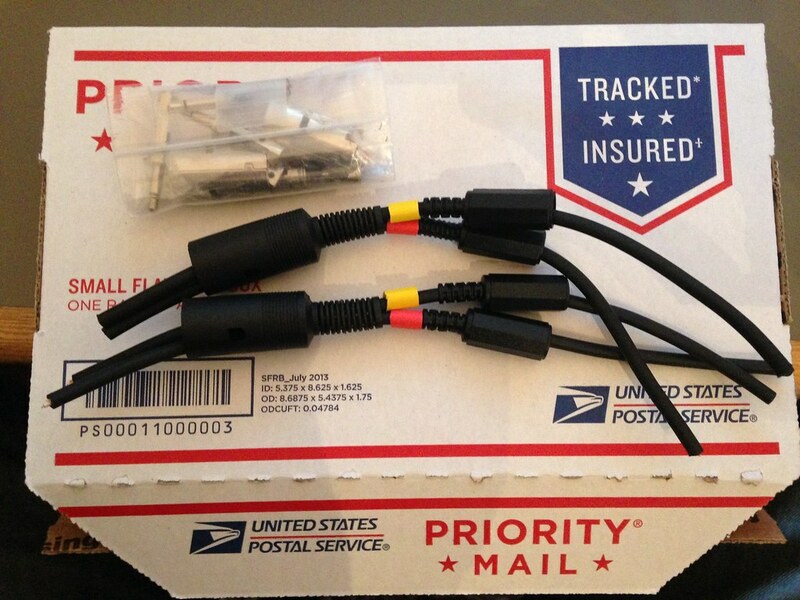 Cable was shipped fast and very well packed. I needed some tech support and he did all he could to help me out. Super patient guy with me although i argued (and i was wrong). Have anymore of these b3nsf? I'm in SF so could pick up locally. PM me if you do. Thanks! Just wanted to add --- got my cable superfast and it works flawlessly. 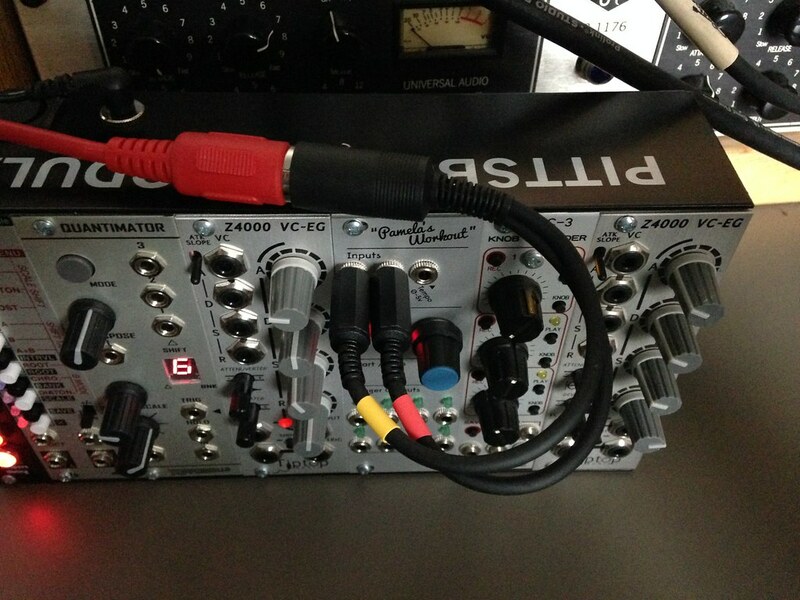 Using it to clock an Intellijel Metropolis w either a tr-808 or an Elektron A4. Cannot understate the beauty of not having to manually reset the Metropolis any longer. 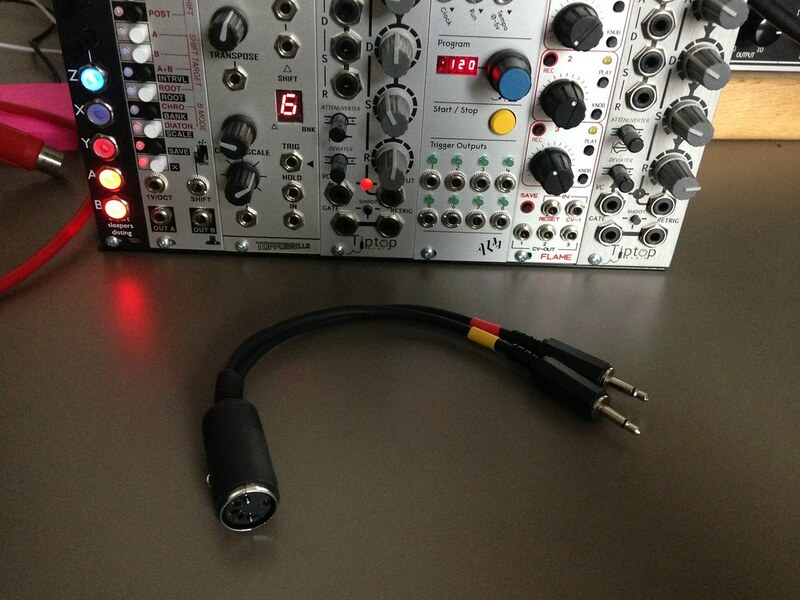 is this cable working to sync from Analog Rytm to Make Noise Wogglebug? TR-606 starting, stopping and clocking FH-1, then midi out to Octatrack. Along with the trigger outs, lots of fun to be had. Received the cable his week - thanks! 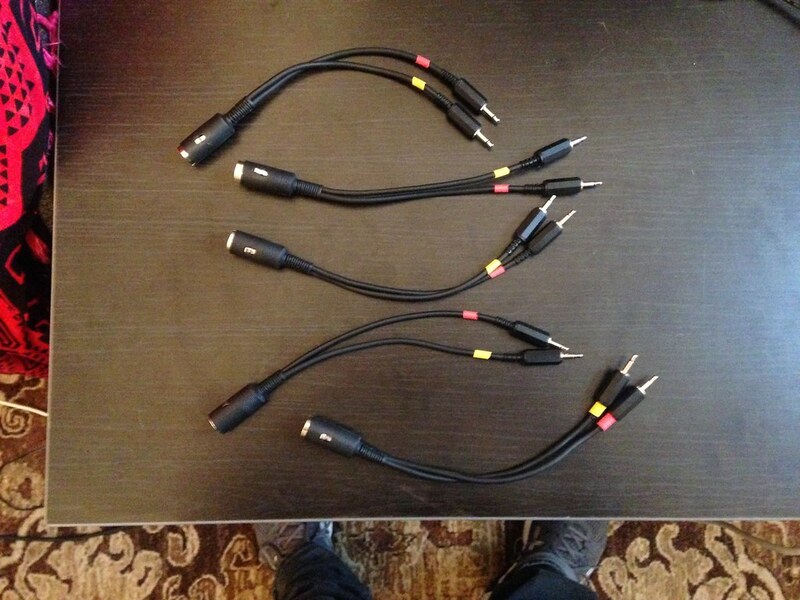 I have 5 built cables in stock, first come, first serve!!! Cable arrived yesterday - super quick. Looks great, professional. Now - I have to wait for the weekend - grrrrrrrr. 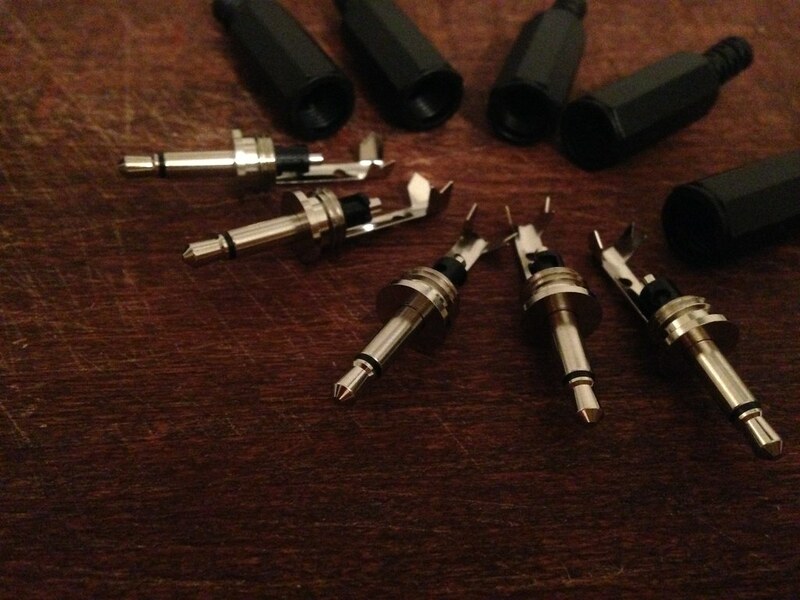 The quality of this adapter is wonderful, and b3nsf had it shipped out immediately! 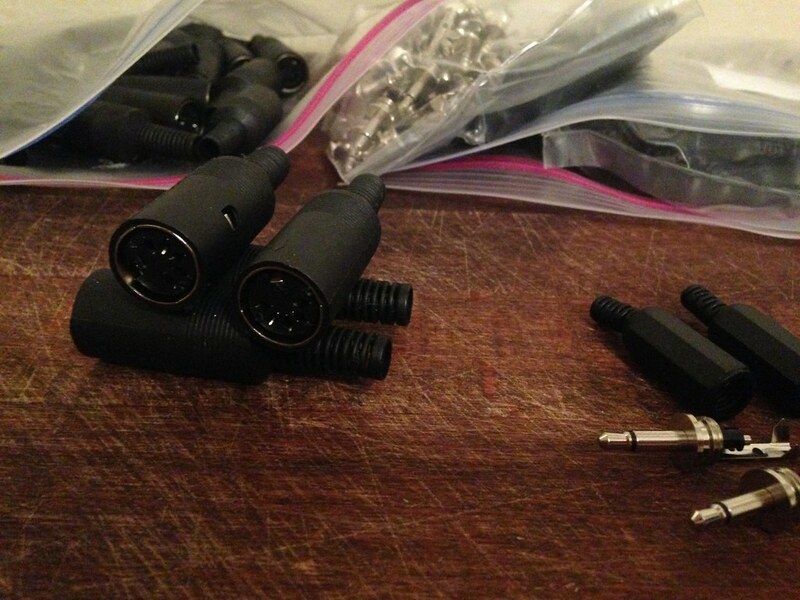 I ended up using a 3,5mm TRS to dual 3.5mm TS adapter to plug my BSP into my Pam's though. 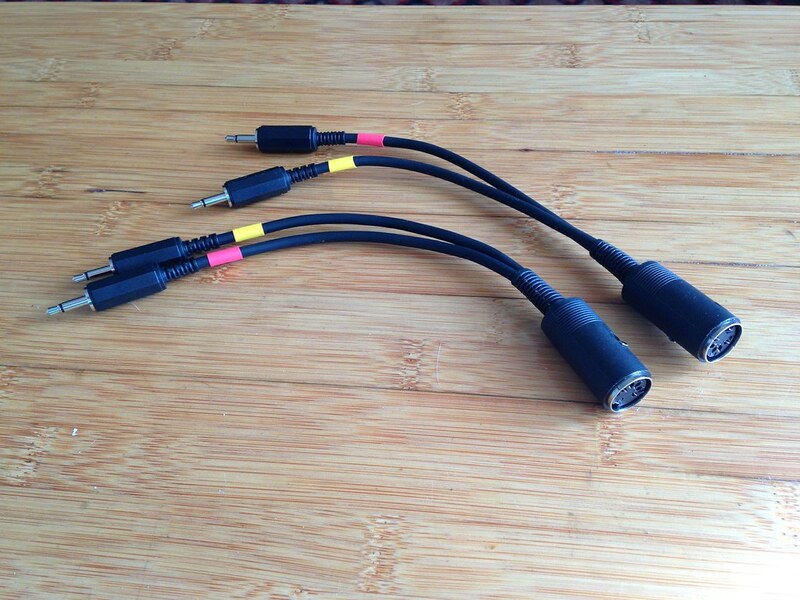 It was a more simple solution than adapter into midi cable into another adapter. However, I don't think these are the same spec as the Expert Sleepers DJ-1200, which I assumed they were since the Expert Sleepers site linked me to this thread. I say this because this adapter has a 180 degree 5 pin din plug, while the Expert Sleepers ones have a 120 degree 5 pin Din plug. I too found this through the ES site. Will this work to sync Grids from my Rytm using 24 ppq din sync? Disregard my post, I was an idiot. 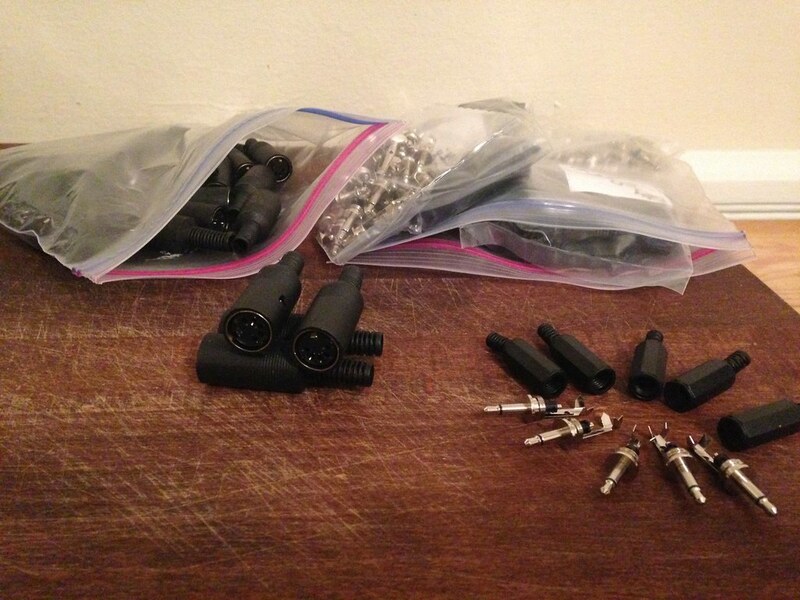 It looked like the plugs were dissimmilar to the ones included with my Best Step pro but they totally fit. I believe that should work, as long as you set your grids to 24ppqn in it's options mode. I believe the dinsync run gate will get the Grids to reset correctly. However, I believe it will keep running if you stop the Rytm though. Just got mine. Solid work, b3nsf. I'm taking Analog Rytm din24 into the MI Grids... though tapping the stop button once doesn't stop the Grids, tapping it twice does. Got mine. Works wonderfully. Sending DIN 24 from RYTM to Trigger Riot. Yay. Thanks b3nsf! 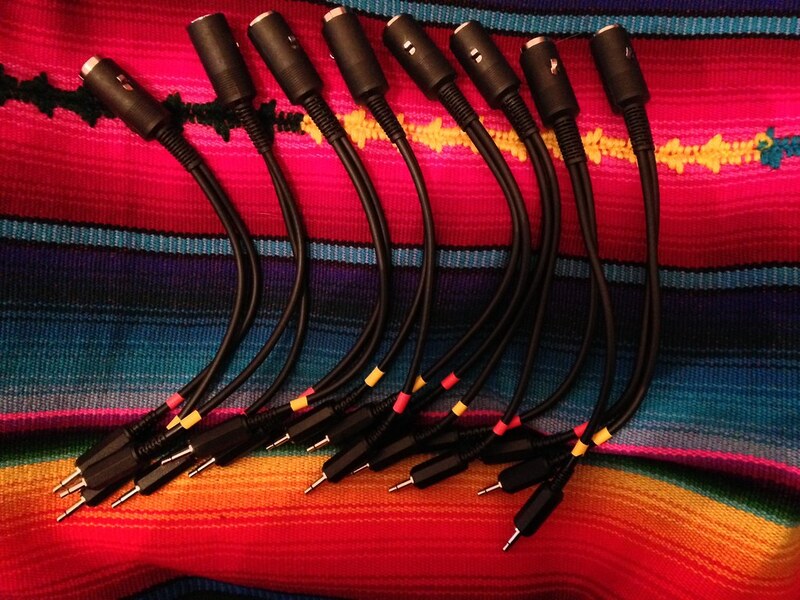 hello, do you have some din sync cables? 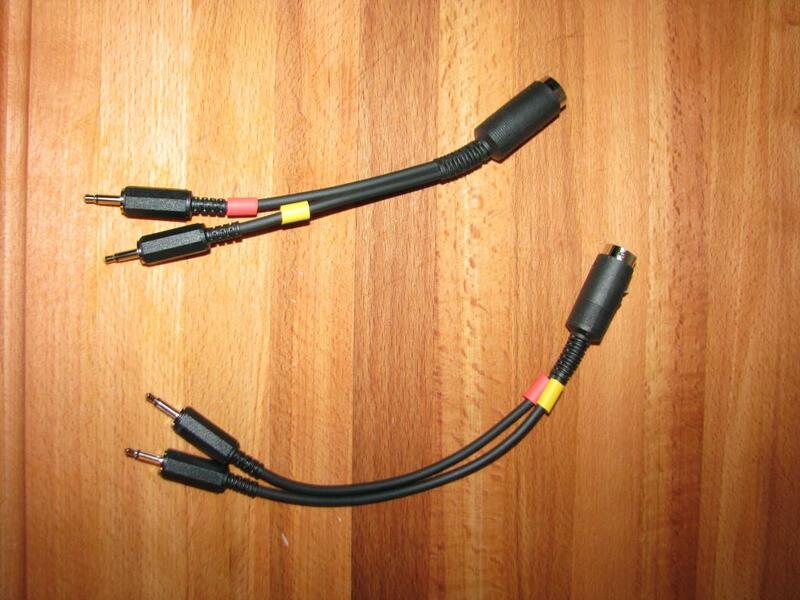 Do you still sell these kits or ready fabricated cables? If yes can i order some ? Do you ship to Holland?